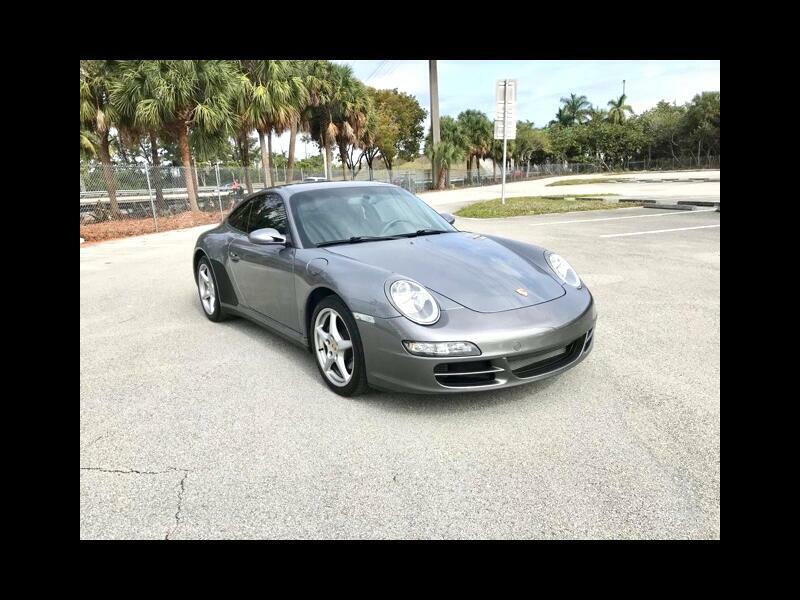 2006 Porsche 911 Carrera 4 Coupe WIDE BODY, Gray Ext / Gray Leather ,3.6L Flat Six Cylinder. 6 Speed Manual transmission , Always a Florida car , Garage kept . 18" Carrera Classic Wheel. Speed activated Rear Spoiler. Wheel Caps with Colored Crest. Navigation , Bose High End Sound Package. Bi-Xenon Headlamp Package. Retractable Cup Holders. Tilt/Telescoping Steering Column. Power windows. Power door locks. Keyless Entry. Alcantara Headliner. Power Moonroof , Michelin tires and much more.